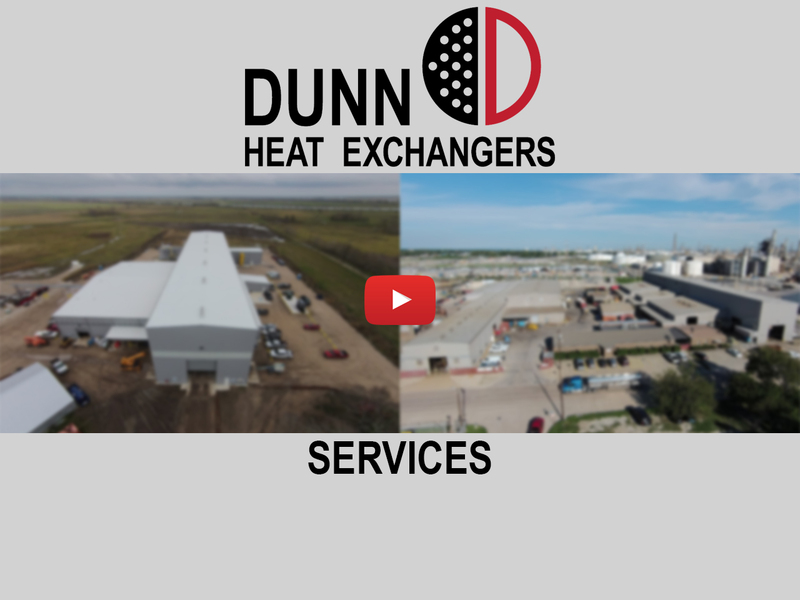 Cleaning | Dunn Heat Exchangers, Inc.
Dunn Heat Exchangers, Inc. operates the largest, most well-equipped off-site heat exchanger cleaning facilities in the United States. Dunn offers a full array of cleaning methods that allows us to bring your process equipment back to the highest level of operational condition as quickly and as safely as possible. Over time we have proven that cleaning at our facilities yields results that are otherwise unobtainable in the field. Our oversized, enclosed cleaning bays inhibit cross contamination and enable us to safely clean many pieces of equipment simultaneously. As an extra measure of quality assurance all waste is professionally processed to government standards. Hydroblasting and waterlancing are the most commonly used means to clean fouled process equipment. We offer superior methods of equipment cleaning, utilizing safe, economical, state of the art technology. These include specially designed blast nozzles capable of flowing water to optimal GPM (Gallons Per Minute) and PSI (Pounds per Square Inch). This provides the volume and velocity that are necessary for cleaning of a variety of equipment types. The hydroblast and waterlance cleaning structures includes multiple shell-side and tube-side cleaning bays, each remote-controlled and requiring only a single operator. All bays are served by overhead cranes and are connected directly to our onsite wastewater pre-treatment facilities. All cleaning equipment is permanently positioned in individual, isolated bays for safe operation. Our cleaning bays are enclosed, not only to ensure safety but also to prevent environmental hazards that are common with onsite cleaning operations, such as aerosol drifts and odor releases. At Dunn Heat Exchangers, we use multiple enclosed media blast houses for abrasive cleaning of equipment. Capabilities include cleaning of a tube's inside diameters for your most sensitive tube testing methods. Media blasting can also be used on equipment that requires an aggressive cleaning method. By utilizing media blasting methods, we are able to remove corrosion and foulants from heat exchanger components. Operators are required to wear suitable protective clothing and use a safe, filtered air supply. Dunn offers a variety of highly effective chemical cleaning processes, including passivation, and Benzene removal. Request a plant tour and let us show you the various chemical cleaning methods that we have to offer. With two decomposition chambers, one the largest in North America, we can work to restore highly fouled equipment. Using a highly controlled environment we are able to decompose product residue from process equipment without compromising equipment integrity. Dunn also uses thermal decomposition for the removal of product residue on equipment and metal parts for decommissioning. Contact us today to find out more about the decommissioning service. Dunn Heat Exchangers, Inc. offers the safest, most efficient means to clean and repair industrial grade heat exchangers. Our facilities also provide us with the ability to handle new fabrication work as well as decommission out of service equipment. These benefits make Dunn the right choice for your company. 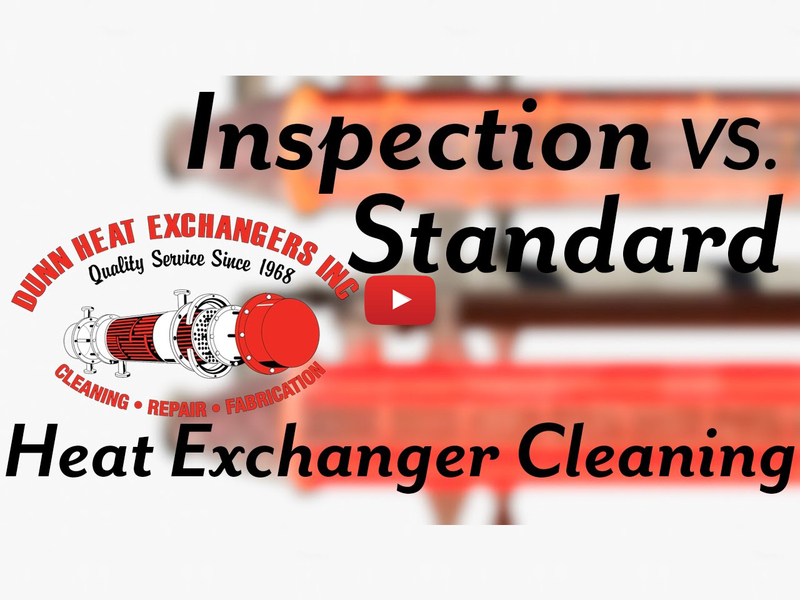 Off-site heat exchanger cleaning cost comparisons to onsite cleaning can be misleading, often there are many hidden costs associated with onsite cleaning. Optimal cleaning to an "inspection clean" status ensures operational efficiency and a longer duration between cleaning requirements. 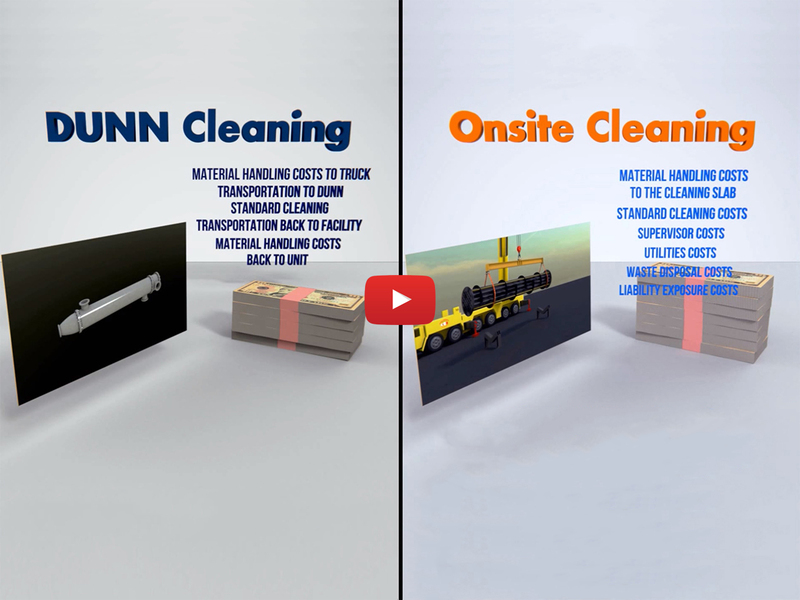 Dunn's off-site cleaning methods can normally bring fouled equipment back to an inspection clean status that is often not possible in the field.